Winners of Tulad Kutawato sa Shariff Kabunsuan Photo Contest sponsored by the Department of Tourism- 12 (DOT-12) in cooperation with the City Government of Cotabato, Kutawato Kamera Klab and SOX PH have finally been selected. Hearty congratulations to all the winners and BIG thank you to all those who have entered the contest. 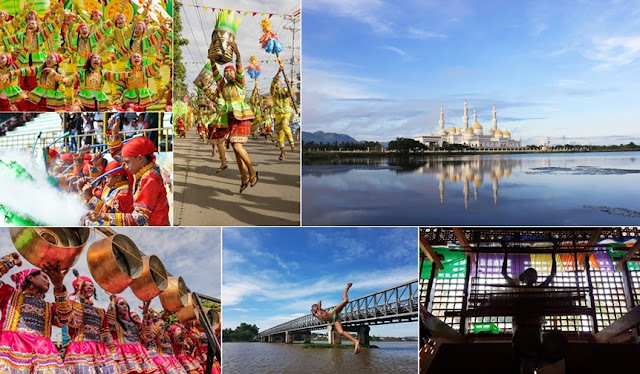 We received an overwhelming response of over 150 entries for the competition which is aimed at capturing the fun and colors of Shariff Kabunsuan Festival and the wonderful attractions in Cotabato City. Here now are the winners of Tulad Kutawato sa Shariff Kabunsuan Photo Contest! Special thanks to our panel of expert judges - Gurlie Frondoza (City Tourism Officer, Cotabato City), Wilfred Yee (Fashion Designer & Photography Enthusiast, Cotabato City), and Zeffrelli Zerrudo (Professional Photographer, Tacurong City). Winners will notified via email regarding the awarding and claiming of prizes. Hearty congratulations to all the winners and BIG thank you to all those who have entered the competition.